Meet the new Activities Director at The Carrollton Club, Miss Taylor Ivey, Mt. Zion High School-Carroll County Schools Senior, and a member of the Career Connections Work Based Learning Program. Taylor completed her Business Pathway at Mt. Zion High with Ms. Glisson and Ms. Samples, and she is proficient in both Microsoft Word and Excel, and she is nationally certified in Microsoft PowerPoint. 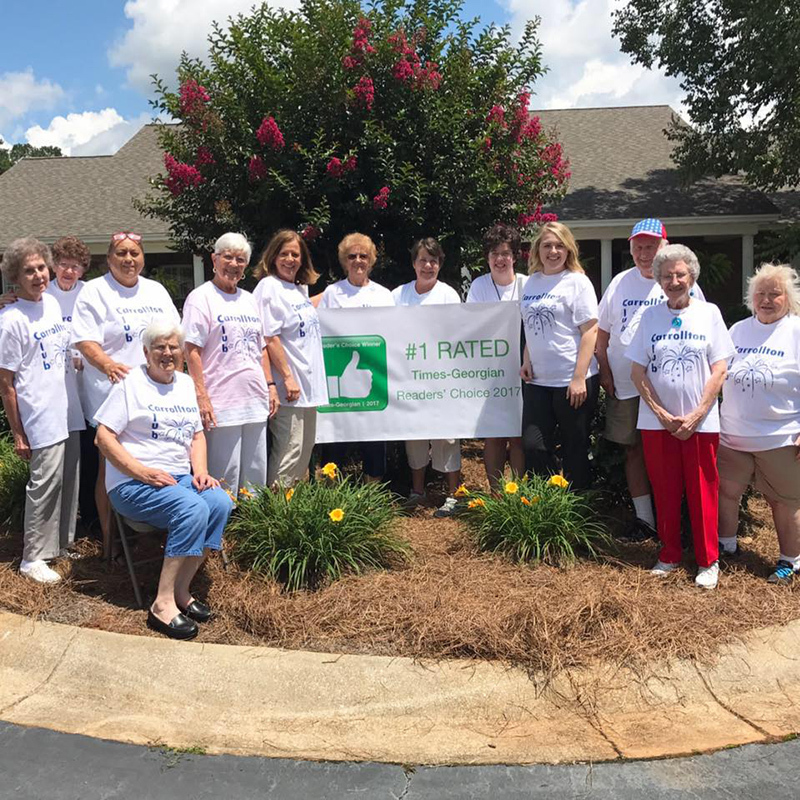 She began working at the Carrollton Club as an unpaid intern, but the staff immediately recognized her as a valuable employee. Taylor was promoted to a part-time, paid, business position, and now has accepted the role as Activities Director. 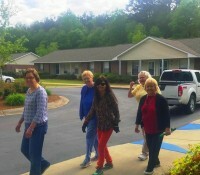 She will be organizing activities for active seniors such as celebrity bingo, health seminars, photo shoots and more. 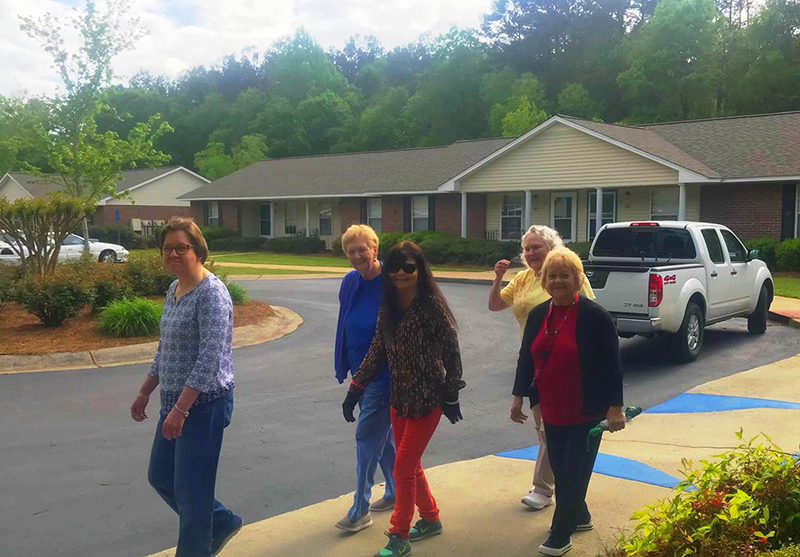 Carrollton Club is a unique apartment community designed for active seniors or disabled persons who no longer want the responsibility of maintaining a house and a yard and want to be a part of fun, helpful, and social activities with other senior adults. We are so proud of Taylor! Keep up the good work! Work-Based Learning (WBL) is a program available to juniors and seniors to prepare them for their future educational and career goals through a mentorship in a work setting. The Newton County Schools WBL Programs (Alcovy, Eastside, Newton& Newton College & Career Academy) have been very successful in transitioning students into the world of work. The benefits of the WBL Program are apparent through the alumni. Hannah Stowe participated in WBL while she was a student at Eastside High School in Covington, Georgia. She worked for a daycare center in 2012 during her senior year of high school. 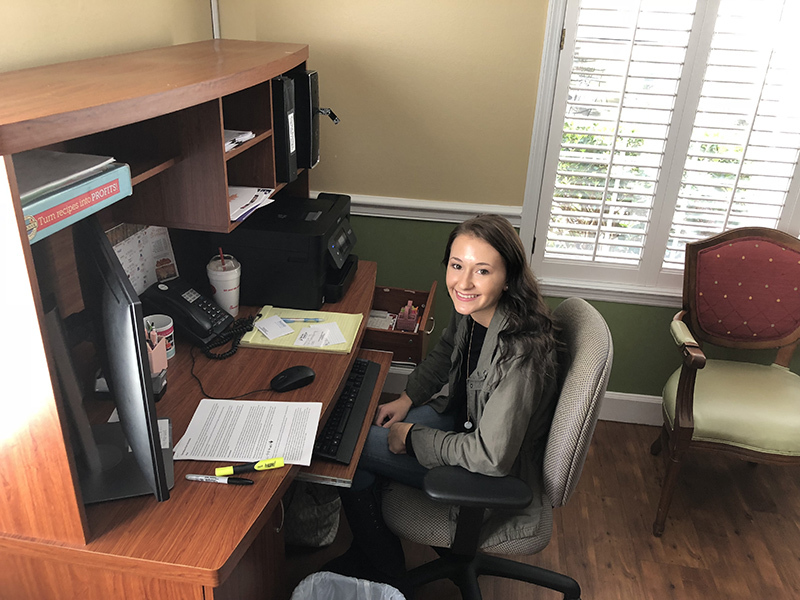 Today, Hannah works for the Newton County School System (NCSS) in the Pre-K room at the Newton College and Career Academy. She credits her success and opportunity to pursue her passion to her WBL experience while in high school. 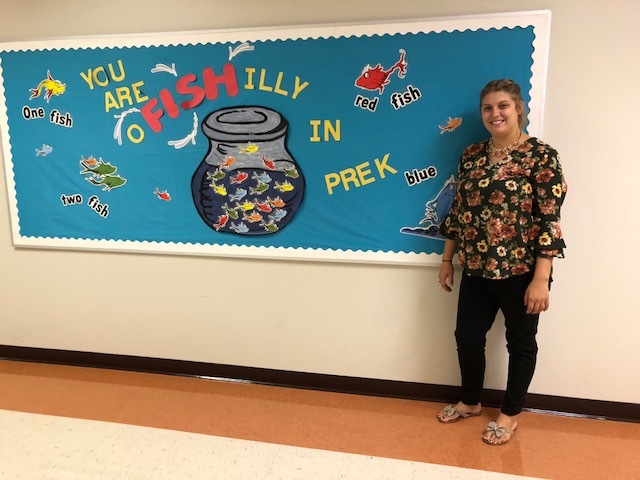 While At Eastside, Hannah was an early childhood education intern at a daycare where she assisted with an afterschool program for elementary students. Since the daycare required the staff to be certified, this put Hannah ahead of her peers. The daycare provided classes to obtain the certification needed, giving her an “early start on experience.” This whole process taught her professionalism. Although this professionalism is mentioned in school, it is emphasized and required in the workplace. This experienced prepared Hannah for all of her future career endeavors. Reflecting upon her WBL days, she wishes she had participated in the program her junior year and recommends this to all students. Nearly one dozen career-minded students from Alonzo A. Crim Open Campus and Henry W. Grady high schools traveled to the downtown Atlanta offices of Stevens & Wilkinson and Parrish Construction Group on Oct. 2 as part of a joint, work-based learning partnership designed to help students explore various careers in architecture, engineering and construction management. Spearheaded by Richard Elder, CTE teacher and work-based learning coordinator at Crim, the daylong field trip was especially designed to promote the growth of the construction market in Georgia while also showcasing the renovation and construction of the former David T. Howard School, which will house nearly 1,400 middle school students in the Grady Cluster when it opens in the fall of 2020. During their tours of Stevens & Wilkinson and Parrish Construction Group, the 11 students gained knowledge about topics ranging from architectural plans and drawings, to construction and renovation from conception to completion. Elder said the trip was designed to not only expose students to the myriad of career opportunities available in construction management and architecture and engineering, but to also invite other APS high schools to participate in Crim's construction work-based learning program. Alexis is a senior at Mt. Zion High School. She is a Business Pathway completer, and her MZHS business teachers have prepared her so well that she passed the national certification test in both Microsoft Word and Excel. 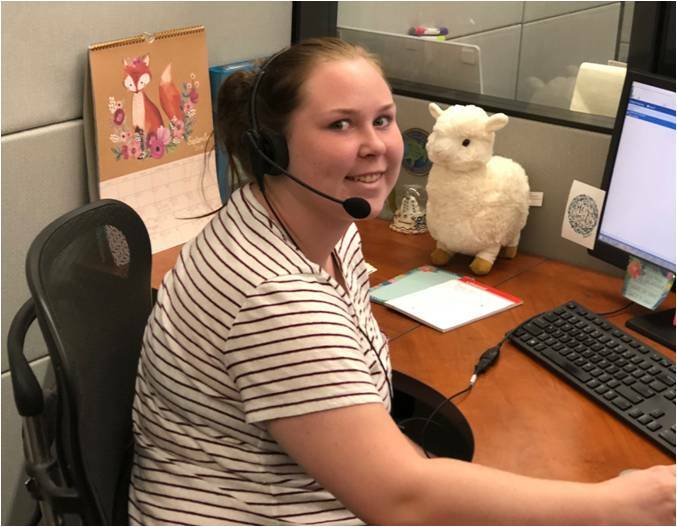 She is part of the Career Connections Work Based Learning program, and she leaves school early each day to go to her job at Omnicall, where she is a virtual receptionist. Her employers say that she is "very sharp" and "awesome". WAY TO GO ALEXIS! WE ARE SO PROUD OF YOU! Ashton is a senior at Bowdon High School, Carroll County Schools. He is a Agriculture Pathway completer, and specifically has had education and training in Electrical Systems as part of the Ag-Mechanics program. He has been part of the Career Connections Work Based Learning program for two years, leaving school early last year as part of a horticulture internship, and this year Ashton leaves school early each day to go to his job at Pro-Source Utility. ProSource is currently replacing underground electrical cables and systems. Although Ashton cannot work near "hot" power lines, by working in the utility industry, he is learning a great deal toward a career in the electrical field. For the last two years, Ashton's employers have praised his great work ethic, and we all know that Hard Work Pays Off! WAY TO GO ASHTON! Keep up the good work. 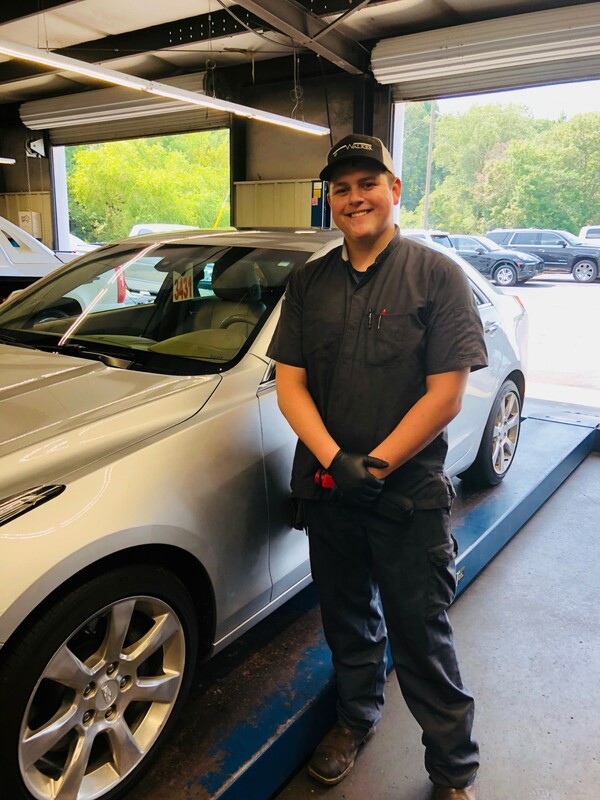 Bryce Dunn, MZHS Senior and College & Career Academy pathway completer, is proud to use the skills he has gained as a part of the automotive team at Walker Cadillac. Bryce is part of the Career Connections Work Based Learning program and is able to leave school at noon each day to pursue his career. 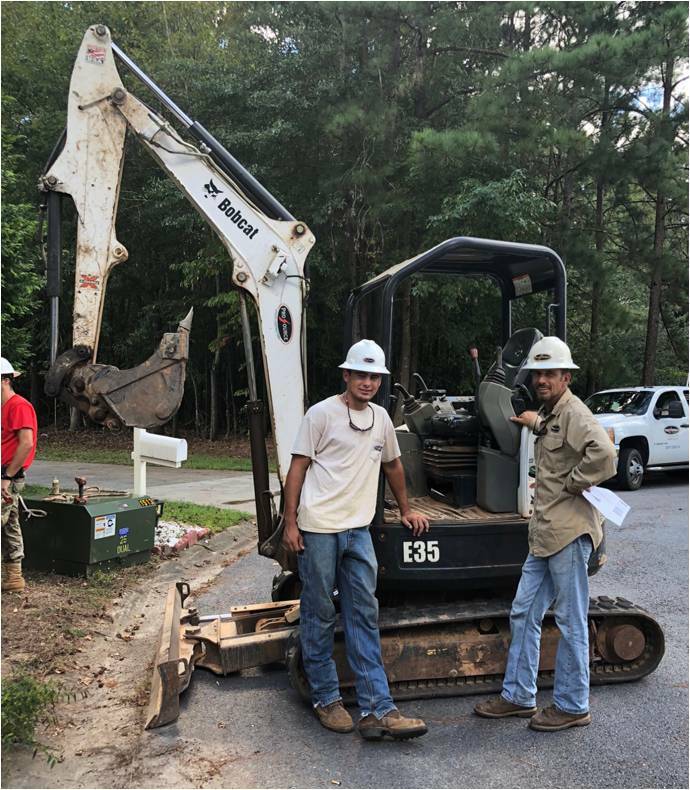 ATLANTA, Georgia - September 26, 2018 — As part of an ongoing effort to promote the growth of the construction market in Georgia, Parrish Construction Group was pleased to have Trevone Wilson, a construction work-based learning student at Atlanta Public Schools’ Alonzo A. Crim Open Campus, as an intern this summer. Trevone started working under Parrish Construction Group’s Director of Field Supervision, Art Cofelice, at Atlanta Public School’s Walden Athletic Complex. Walden was a $7.4 million project that consisted of the demolition of the existing Austin Thomas Walden Middle School building and the construction of a new athletic complex to serve Grady High School. The complex sits on a 6.27 acre site and included the construction of a ﬁ eld house, a multipurpose turf athletic ﬁ eld, and a softball/baseball ﬁe ld. Trevone then had the opportunity to transition from the Walden jobsite to the Atlanta Public Schools Howard Middle School jobsite. As the former school of Dr. Martin Luther King Jr. and many other Atlanta Icons, Howard is one of Parrish’s most high-proﬁ le jobs todate. Not only has Trevone excelled working under Art Cofelice at Walden and Howard but he also has had the opportunity to work with Parrish’s Project Managers, our BIM Manager, and various trade subcontractors. Since Trevone’s summer internship, he has graduated from Alonzo A. Crim Open Campus and is currently attending Atlanta Technical College studying Construction Management. Over the next two years he will attend classes on Monday, Wednesday, and Friday, and will continue working on the Howard Middle School jobsite on Tuesdays and Thursdays. Trevone was a valuable addition to the Parrish team throughout the summer and we look forward to continue to work alongside him over the next few years. The WBL student spotlight of the month features Israel Hernandez from Campbell High School. 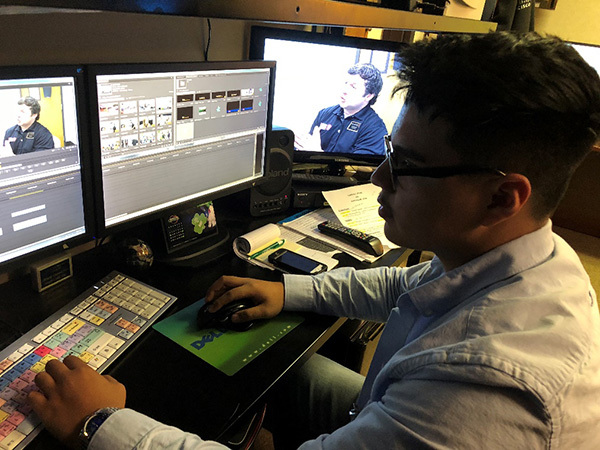 Israel completed the Audio Video Technology and Film Pathway and has risen to the top tier of students within the program. During his tenure he was heavily relied upon to complete tasks necessary for the program’s success. Israel’s passion to learn more about the industry has motivated him to seek out opportunities to learn more. One example is his commitment to the program was his contribution to the school-wide broadcast, CTV News. Israel’s innovative ideas contributed to the success and growth of the broadcast. Israel was one of two students who interned in the CCSD Communications Office last spring. His role was quite versatile which allow him to expand his knowledge of video production, editing, visual storytelling, producing voice overs and his script writing. Israel believes his AVTF internship placement has helped him prepare for life beyond high school. He now has a clear direction of his future. His hands-on experience has exposed him to the opportunities that the industry has to offer.